The future has already begun. The term “Indus­try 4.0” not only refers to a lot of reports, but new tech­nolo­gies are now find­ing their way into almost all areas of the value chain. This also applies to logis­tics. 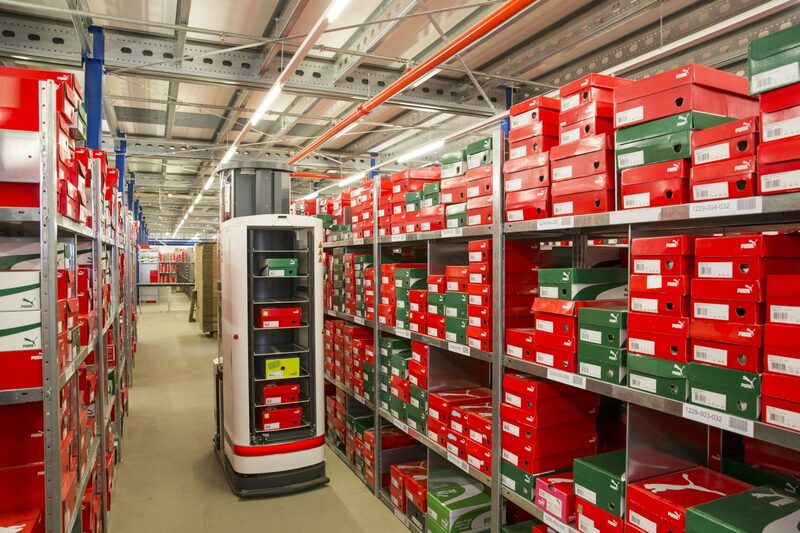 ITG recently started a pilot project at the Schwaig loca­tion together with the sports brand PUMA, the startup Mag­a­zino as tech­nol­ogy part­ner and the soft­ware man­u­fac­turer Giga­ton. 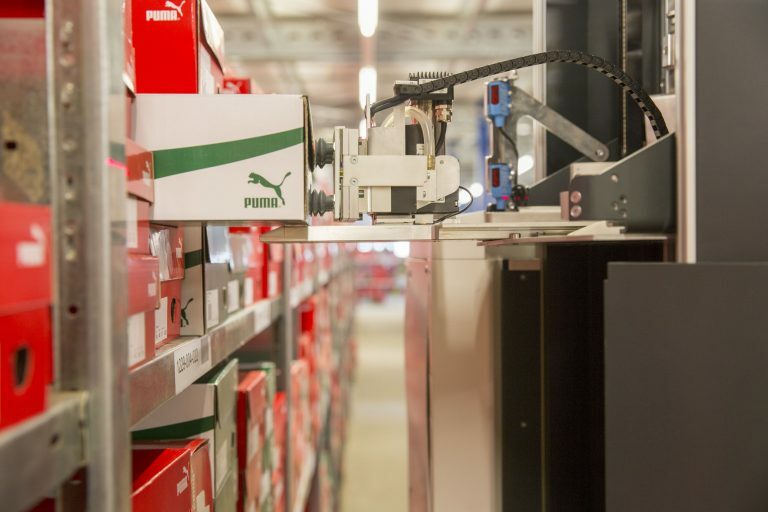 Since May 2017, a pick­ing robot has been in use in the logis­tics cen­tre oper­ated by ITG for PUMA Retail Stores. Schwaig, July 12, 2017 — The pilot project was ini­ti­ated by PUMA after the robot man­u­fac­turer, the Munich-based startup Mag­a­zinino, had been dis­cov­ered dur­ing a visit to a fair. The startup’s vision is to cre­ate “the world’s first self-think­ing and self-trad­ing ware­house”. Until the high ambi­tions become real­ity, the devices have to be tested in prac­tice in order to advance the devel­op­ment with the knowl­edge gained. ITG was open to the project right from the start. Since the end of July 2016, a joint project team of the par­tic­i­pat­ing com­pa­nies has been respon­si­ble for imple­men­ta­tion. TORU enables piece-accu­rate access to the sin­gle, indi­vid­ual object and not just to stan­dard­ized load car­ri­ers such as trays or crates. The adap­tive grip­per can grip var­i­ous rec­tan­gu­lar objects — from a small paper­back to a shoe box to a heavy ency­clopae­dia. The robot can then tem­porar­ily store the gripped object on its shelf and take it directly to the ship­ping sta­tion. The hard­ware with con­veyor tech­nol­ogy relies on proven ele­ments. What is new about this sys­tem is the soft­ware that net­works tech­nol­ogy and sen­sors. TORU is a per­cep­tion-con­trolled robot — thanks to cam­eras, com­puter vision, numer­ous sen­sors and the use of arti­fi­cial intel­li­gence, the robot can per­ceive and inter­pret its envi­ron­ment and make deci­sions based on it. This enables not only the per­ma­nent adap­ta­tion to the stor­age topol­ogy and the use of the robot in work­ing areas together with humans, but also the inde­pen­dent learn­ing abil­ity of the sys­tem. The “new col­league” named TORU now sup­ports the ITG employ­ees. The coop­er­a­tion between man and machine is ensured by numer­ous sen­sors on the robot. These sen­sors per­ma­nently detect the envi­ron­ment. As soon as some­one comes too close to TORU, he reduces his speed and finally stops his move­ments. The sys­tem has been approved by the employ­ers’ lia­bil­ity insur­ance asso­ci­a­tion and tech­ni­cal test cen­tres to ensure occu­pa­tional safety. A major advan­tage is that the robot can be used inde­pen­dently of work­ing time mod­els, for exam­ple in a late or night shift. TORU can even do with­out hall light­ing, because it illu­mi­nates its work­ing envi­ron­ment itself with built-in spot­lights. 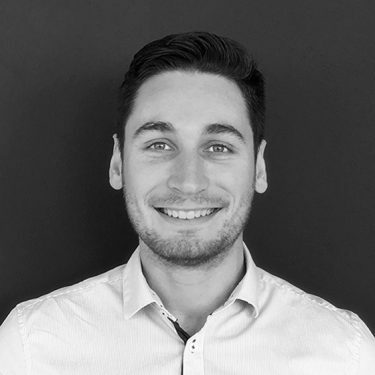 The agile design of the sys­tem is par­tic­u­larly inno­v­a­tive and a real advan­tage of this con­cept: the robot can be moved to other areas with­out any addi­tional effort and gets to know them by itself. This flex­i­bil­ity pro­vides great added value, which con­vinced PUMA and ITG. The aim of the pilot project is on the one hand to test the robot in a prac­ti­cal envi­ron­ment. Ques­tions about the behav­ior in the work­ing envi­ron­ment with humans, sta­bil­ity and con­stancy in daily use as well as readi­ness of the tech­nol­ogy under real con­di­tions are to be answered. On the other hand, the part­ners involved want to under­stand how pow­er­ful robots can be. Var­i­ous sce­nar­ios will be pre­sented in order to gain insights into the ideal envi­ron­ment for tech­nol­ogy. After link­ing the robot tech­nol­ogy with the exter­nal ware­house man­age­ment sys­tem LogoS from Giga­ton, first pos­i­tive tests and a train­ing period, live oper­a­tion of TORU is expected to start in Sep­tem­ber. By then, the col­leagues will cer­tainly have come up with their own name for their new col­league.